On Books. And Storytellers. And Trains. So here I am on my new website. Aren’t I clever? Isn’t this wonderful? Didn’t I swear lots creating it? I can’t quite believe I’m here. And by here I don’t just mean here in this little area of cyberspace I’ve allocated myself to do a bit of storytelling, but here. Here as in today. Now. World Book Day actually, which is profound, because I’m thinking a lot about books. And storytellers. And trains. On the train from Hull to Leeds. Last week I took the train yet again to London for the launch of Amanda Jennings’ beautiful novel In Her Wake. Free wine is enough to draw anyone to an event, but it could have been in a cold field without a bottle in sight and we (readers, writers, bloggers, reviewers) would have gone to celebrate Amanda’s incredible third book. 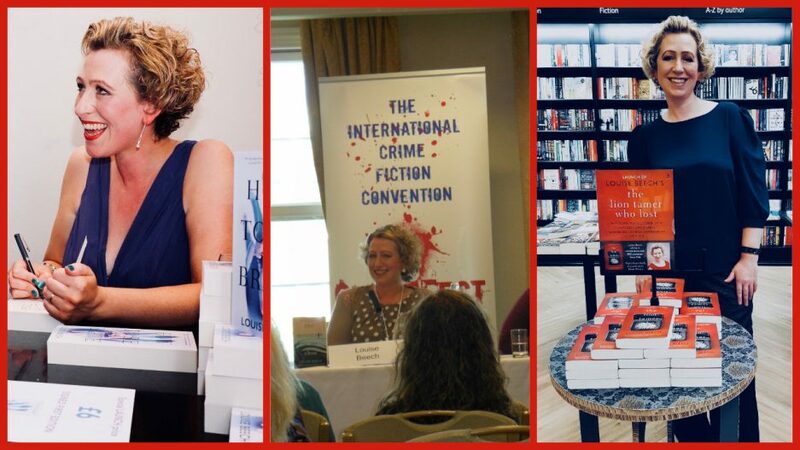 I was a complete fangirl (my 15-year-old daughter will chastise me for using teenspeak) when I met authors whose books are on my shelf and Kindle – Jane Isaac, Gill Paul and Katie Marsh. On a non-physical trip – via my dear Uncle Lapwim – I visited Australia, where a Tasmanian book group had been reading How to be Brave and were overjoyed when he took in a signed copy of the book. I haven’t been to Ireland since I was thirteen, but long to go again – properly, physically. My maternal grandmother’s family originally hail from that land of story. Alongside folktales and legends, stories have been told around Irish firesides at night, forming the backbone of entertainment and imagination there forever. Lovely Irish friend Fiona Mills – radio superstar on the airwaves of Hull – says that you can’t go into an Irish home without sharing a story or two. She predicted years ago that I’d eventually get a book deal and the logo would be a tree. Take a closer look at the Orenda Books logo. And so I end my World Book Day blog in Ireland – spiritually not physically. Because my proudest cyber travel has been via the Irish Times. Assistant Literary Editor Martin Doyle has been a huge supporter of How to be Brave, publishing my article How to be Somewhere Else and then calling it his favourite piece that week. Irish friend Fiona said that the Irish Times was ‘really something’ when she was growing up, and that were her beloved mother still alive she’d have got out the best china for me for being featured within its hallowed (cyber) pages. Happy World Book Day. As Rose says in How to be Brave – “But don’t you know? It was never the diary or the newspaper bits or what anyone else told you. It was always you. Just you. You’re the storyteller and I love you.” Big love to all the storytellers. You rock our world. Next > Bedtime stories, any time. I’m off to dat der London on train this month…wish A Mountain in my Shoe was available to read on route! Could just jot down my thoughts to start my own book….don’t know where to start, but you are my inspiration!! Enjoy London. I LOVE writing on trains! Best place to be inspired.